The Sahara Group was today directed by the Supreme Court to deposit Rs 5092.6 crore by April 7 in the SEBI-Sahara account to keep its chief Subrata Roy out of jail and said the amount will be refunded to the investors. Sahara’s lawyers originally asked for six months time to make the payment but the bench of Justices Dipak Misra, Ranjan Gogoi and A K Sikri refused it. The bench allowed it to sell assets, mentioned in the list furnished by it, for refund of money. However, the bench observed that in case the group deposits a substantial amount out of Rs 5092.6 crore by April 7, the court may extend the time to sell other properties. The judges said the group can sell 13 out of the 15 properties mentioned in one of the lists to deposit the amount and can also sell the properties, which are unencumbered, and mentioned in the other list given by it. On Feb 6, in a huge setback to Roy, the bench ordered the attachment of the company’sprime Amby Valley property in Pune. 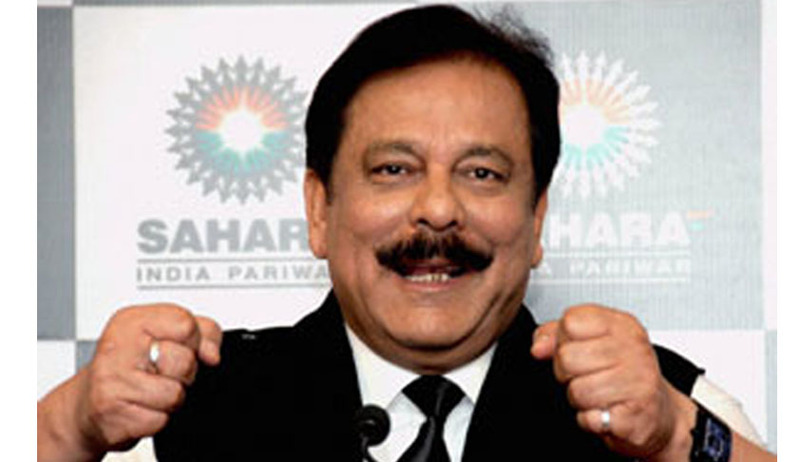 A special bench headed by justice Dipak Misra said the drastic step was needed to force Sahara and Roy to expedite the payment of balance Rs 14,779 crore. Sahara has so far paid a little over Rs 11,000 crore and had sought time till July 2019 to deposit the balance of Rs 14,779 crore with the SEBI. It deposited a little over Rs 600 crore with SEBI on Monday. However, the court said that the repayment roadmap extending till July 2019 is too long and it wanted to auction the properties to realise the dues. On January 12 the Supreme Court took a serious note of Roy’s plea for extention of time to deposit Rs 600 crore saying he would have to go to jail in case of a default and did not pay up by February 6, that is today.